One-Stop Shopping and Very Flexible Design Options! 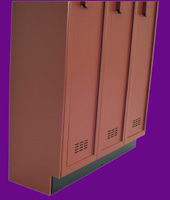 Solid plastic HDPE Lockers in a complete line of colors and design options to meet your club’s needs. 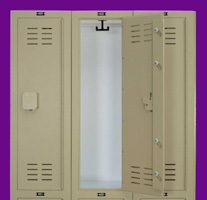 Sanitary, corrosive- and moisture-resistant product line that is virtually maintenance free. 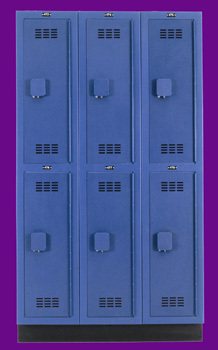 Our Lockers are constructed with heavy-duty ½-in. thick doors and door frames and 3/8" thick side panels and shelves. 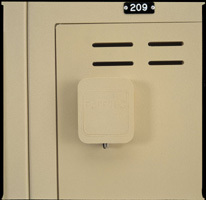 Their patented locker design reduces the number of mechanical fasteners required for assembly. 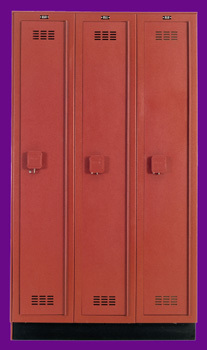 The aluminum piano hinges are full length and powder coated to match the color of the plastic. 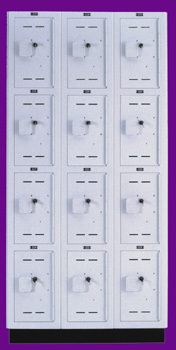 The full length latching system may be used with a wide variety of locking mechanisms, such as padlock, combination, key, and coin/token operation. 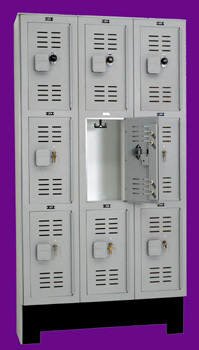 House Mom lockers are available in widths and depth of 15" or 18" and standard heights of 36". 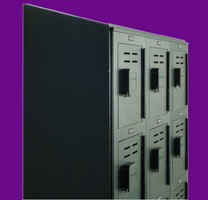 The countertop is a standard 24" deep and available in lengths to fit your clubs needs. 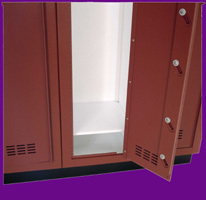 Manufacturer's Guarantee: doors, frames, and panels against breakage, corrosion, and delamination under normal use for 15 years from the date of receipt by the customer. 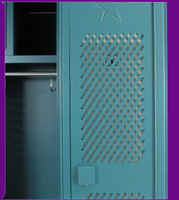 A non-porous surface makes lockers graffiti resistant and easy to clean. 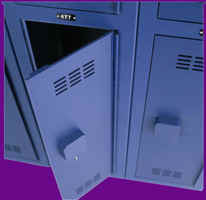 Continuous piano hinges discourage vandalism and theft. 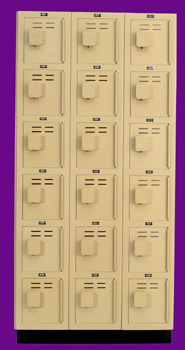 End lockers open freely a full 270° for easier access and less stress on hinges. Only a FEW suggestions are illustrated here. 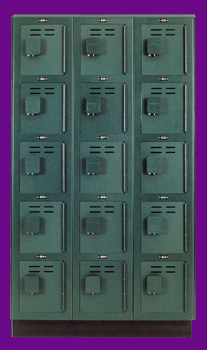 That's why you need US - so give us a call or send an email and we will give you all our knowledge about the beauty, functionality, long lasting quality and security features of our locker systems.